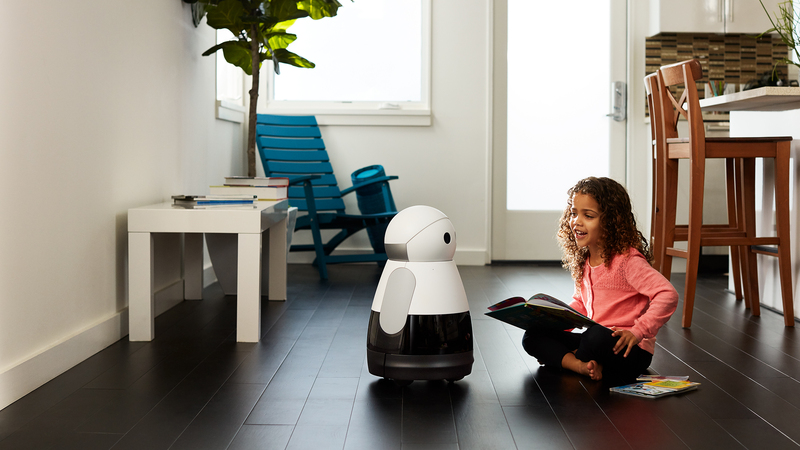 Kuri Home robot is an adorable robot wandering in your home with awesome features. As I will start describing each feature you will definitely fall in love with Kuri. In a first glance Kuri Home Robot looks very cute having adorable eyes and round face. If you will pay attention then you will realize that it has a security camera. The security camera is inserted behind his eyes that helps Kuri to capture HD pictures and videos so it can also become your house keeper when you are not around. Kuri is 20 inches tall and its weight is 14 pounds. Most of the time it is said that machines and robots have no emotions but in this case it is wrong. The kuri home robot has the ability to detect facial expression of the people around. For example if someone is smiling then it will also smile back that is really sweet. But this is not all because this super kuri home robot can also recognize voice commands due to voice command library inserted in it. It also has four microphones that help her to recognize the voice location and distance easily. The kuri home robot will recognize and respond through facial expressions that makes it the best home robot. The cap touch sensors are inserted in Kuri home robot so if you will tap on head it will look up at you. The mapping sensors help Kuri to stay away from obstacles and move freely around the home easily. You can get this cute Kuri home robot in $699.